Not Just Another Three Day Week-End | Bills Sales and Service - Refrigeration, Ice Machines, Heating and Air Conditioning in the Branson - Tri Lakes Area. Memorial Day is a federal holiday observed annually in the United States on the last Monday of May. Formerly known as Decoration Day, it originated after the American Civil War to commemorate the fallen Union soldiers of the Civil War. (Southern ladies organizations and southern schoolchildren had decorated Confederate graves in Richmond and other cities during the Civil War, but each region had its own date. Most dates were in May.) By the 20th century Memorial Day had been extended to honor all Americans who have died in all wars. 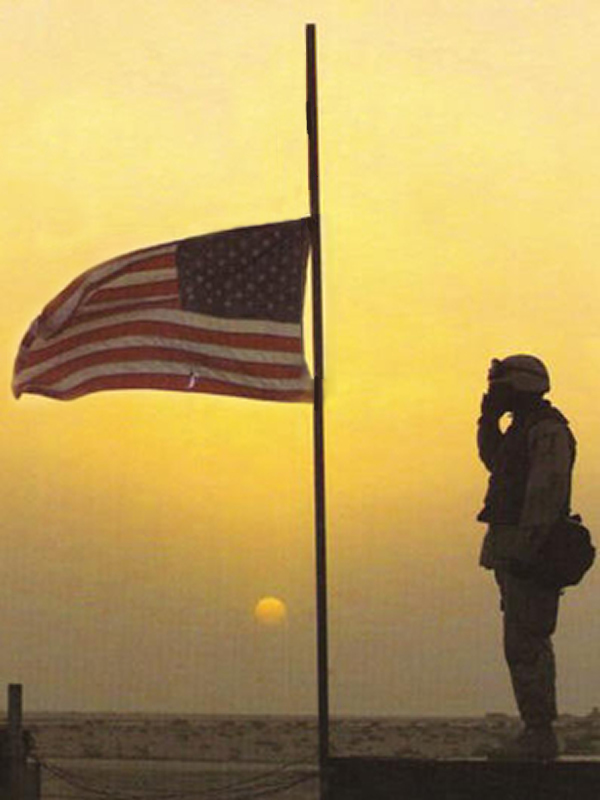 Memorial Day is a day of remembering the men and women who died while serving in the United States Armed Forces. On Memorial Day the flag is raised briskly to the top of the staff and then solemnly lowered to the half-staff position, where it remains only until noon. It is then raised to full-staff for the remainder of the day. On May 5, 1868, General John A. Logan, leader of an organization for Northern Civil War veterans, called for a nationwide day of remembrance later that month. “The 30th of May, 1868, is designated for the purpose of strewing with flowers, or otherwise decorating the graves of comrades who died in defense of their country during the late rebellion, and whose bodies now lie in almost every city, village and hamlet churchyard in the land,” he proclaimed. The date of Decoration Day, as he called it, was chosen because it wasn’t the anniversary of any particular battle. She then conceived of an idea to wear red poppies on Memorial Day in honor of those who died serving the nation during war. She was the first to wear one, and sold poppies to her friends and co-workers with the money going to benefit servicemen in need. Later a Madam Guerin from France was visiting the United States and learned of this new custom started by Ms. Michael and when she returned to France, made artificial red poppies to raise money for war orphaned children and widowed women. This tradition spread to other countries. In 1921, the Franco-American Children's League sold poppies nationally to benefit war orphans of France and Belgium. The League disbanded a year later and Madam Guerin approached the VFW for help. Shortly before Memorial Day in 1922 the VFW became the first veterans' organization to nationally sell poppies. Two years later their "Buddy" Poppy program was selling artificial poppies made by disabled veterans. 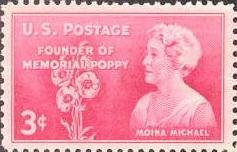 In 1948 the US Post Office honored Ms. Michael for her role in founding the National Poppy movement by issuing a red 3 cent postage stamp with her likeness on it.